Eye trauma can be very dangerous because the eye does not often heal well after trauma and many traumatic injuries to the eye result from a partial or complete loss of vision. Eye trauma can constitute many different types of injuries. One of the more common injuries is the corneal abrasion, also called a “scratched cornea”. It happens when a foreign object scrapes across the cornea causing extreme pain, eye redness and watering of the eye. 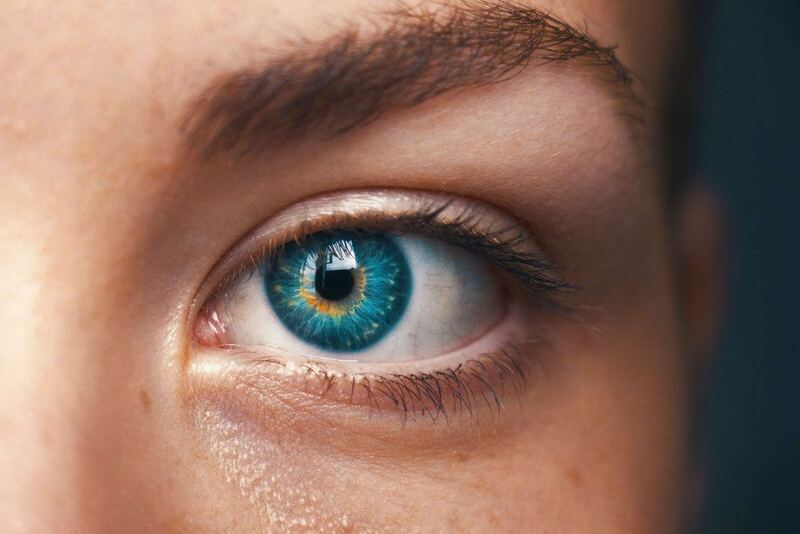 The eye becomes very sensitive to light. Fortunately, these tend to heal themselves within 24 hours of getting them and they heal better with antibiotic drops. You can get a penetrating object or foreign object in the eye, which can be small, like a splinter of metal or big, like a fish hook. This can easily get infected or can result in blindness if not treated as a medical emergency. An ophthalmologist may be necessary to remove the foreign body in the eye using surgery. Even in the case of a metallic fragment, the metallic fragment must be removed so as to stop scarring. You can get a chemical burn in the eye through a splash burn or by spraying a chemical in the eye. The most dangerous chemical burns are caustic lye burns followed by acid burns. Acid burns can easily be washed out but lye burns can cause irreparable damage to the eye and to vision. Caustic lye and acid burns need a steady stream of water on the eye for several minutes. You should also see an eye doctor if you have such a burn. It’s possible to get a black eye with local swelling from blunt trauma to the eye. Sports injuries can lead to these types of injuries. They are best treated with an ice pack to reduce bruising and swelling. The eye can bleed due to what’s called a subconjunctival hemorrhage. This is bleeding of the white part of the eye between layers of the eye. It can occur due to blunt trauma to the eyeball itself and looks worse than it really is. This is a painless injury that does not require treatment. It does not affect the vision. Traumatic iritis can happen when there is a blunt trauma to the eye that affects the colored part of the eye or the “iris”. It usually requires medical treatment so as not to suffer from permanent partial loss of vision. A more dangerous injury is a hyphema, which involves bleeding in the space between the cornea and the iris. It must be treated so that there is not a loss of vision. An orbital blowout fracture is an injury to the eye that comes from a large object striking the eye. There is one or more fractures of the periorbital bones that results in an eye that does not see binocular vision. This is a serious injury that needs immediate medical attention. The eye is a delicate organ that can be injured in a minor way or in a major way, such as in an automobile accident or sporting accident. Because loss of vision can come from any number of eye injuries, there should be a medical evaluation anytime a person is injured. One of the main causes of eye trauma is sporting injuries. A person can sustain a blow to the eye by another player’s elbow or can sustain a penetrating injury to the eye from a fish hook. Sports involving hockey pucks, bats or balls are particularly prone to causing eye injuries and eye protection should be considered for these types of sports. Another cause of eye injury is a blunt force trauma to the eye from a motor vehicle accident. The individual can sustain a blowout fracture which damages the bones protecting the eye. The eye can rupture or simply be knocked out of alignment. Repair of the fractures is necessary to align the eye in its proper position. Occupational trauma can yield injury to the eye. Despite the use of eye protection, dust, metal fragments and other debris can get in the eye and can cause a corneal abrasion or an imbedded foreign body in the eye. These need to be seen by medical personnel so that foreign bodies can be scraped off the eye and loose foreign bodies can be lifted from the eye. Corneal abrasions often come from minor injuries in which something scratches a layer or two of cells off the corneal surface. Some chemical injuries to the eye can be dangerous, while others are not. For example, solvents can burn the eye but when flushed out do little or no damage to the eye. Acids can corrode the eye but if flushed out with water quickly, they do not cause permanent eye damage. Lye burns, on the other hand, are severely caustic. If not washed out immediately after exposure, the eye itself can permanently scar, permanently diminishing the vision. Penetrating injuries to the globe can collapse the eye and can lead to a severely misshapen eye. Surgery is necessary to remove any foreign body and restore the eye to its globular shape. If there is chemical exposure to the eye, the main symptom is intense burning pain associated with redness to the eye, tearing, and eyelid swelling. In a subconjunctival hemorrhage, there may be no pain. The vision is unaffected and the eye itself is red only over the white part of the eye and can cover a large area of the sclera. In a corneal abrasion, there is pain, tearing, sensitivity to light and a persistent sensation that there is something in the eye even though nothing but a scratch may be there. In iritis, there is light sensitivity and pain. The pain is an aching pain felt around the whole eye. There can be excessive tearing of the eye. In a hyphema, blurry vision is prominent and the eye is painful. In an orbital blowout injury, there is pain with any movement of the eyes, double vision, swelling of the eyelid, and bruising, or a black eye. In a conjunctival laceration, there is pain and swelling of the eye along with the sensation that something is residing in the eye. Lacerations of the sclera and cornea result in blurry vision and an aching pain within the eye itself. Corneal foreign bodies feel as though there is something in the eye, a great amount of tearing, blurry vision, and light sensitivity. The foreign body may or may not be seen with the naked eye. Intraorbital foreign body causes a reduction in vision, tearing, pain in the eye and double vision (in some cases). Sometimes no symptoms are noted, especially if the foreign body entered the eye under high velocity. If you get ultraviolet keratitis, you have eye pain, light sensitivity, a sense of a foreign body in the eye and redness of the eye. Symptoms tend to appear about four hours after you have had the UV exposure. Solar retinopathy causes decreased vision. The biggest area of loss of vision is in the central part of the vision. As you have seen, many different things can happen to the eye so the eye doctor must take a careful look around the eye, on the surface of the eye and inside the eye to see what might be going on. This type of evaluation is guided by the signs and symptoms noted above. The eye doctor first palpates the bones around the eye to make sure there isn’t a bony defect as is seen in a blowout fracture. The doctor looks for bruising and swelling around or inferior to the eye, which could indicate blunt force trauma to the eye. The eye itself is examined for tearing, redness or bleeding. Obvious foreign bodies can be seen in a naked eye exam. If the eye is bloody just overlying the sclera, the diagnosis is a subconjunctival hemorrhage. The cornea is then looked at. First, the cornea is looked at with a bright flashlight. The eye doctor is looking for blood behind the cornea if the patient has a hyphema. If there is an imbedded foreign body, it may be seen with the naked eye as a spot on the cornea. The doctor then uses fluorescein dye. This is a dye that fluoresces under UV or black light. Any tiny scratch or foreign body can be seen using the fluorescein dye as a bright yellow spot. The dye can also be used to evaluate the entire eye for foreign bodies. The doctor can use a special eye microscope that visualizes both the surface of the eye and the presence of cells behind the cornea. It can also look deep into the eye to make sure the vitreous humor isn’t cloudy with white or red blood cells as in a penetrating foreign body. When the microscope is used to see the surface of the eye, it can be used with an instrument to dig out a partially imbedded foreign body under high magnification. Eye trauma treatment depends on prompt first aid and referral to an emergency room or eye care specialist. For example, if you have a chemical burn to the eye, it is most important to flush the eye out with copious amounts of water. Time is important, especially in acid or lye burns. Use a water fountain or the tap to get as much water onto the eye as possible. Use a shower if you have one and allow the shower to fill up a cup of water, dumping the cup onto the eye. You can also use a garden hose provided the flow isn’t too strong. With a subconjunctival hemorrhage, you don’t need to do much of anything, especially if there are no other injuries. Just don’t rub the eye and it will eventually heal in 4-10 days. If you have traumatic iritis, on the other hand, you will be photophobic. Wear sunglasses until you see the doctor. Corneal abrasions can’t be treated at home. Just don’t wear contact lenses until a doctor says it’s okay. If you have a hyphema, keep your head in an elevated position. This keeps the blood loss down. Keep quiet and don’t do much activity until you see the doctor. If you have an orbital blowout fracture or believe you might, keep your head elevated and put ice on the affected eye. Don’t take aspirin or ibuprofen for the pain as this will increase bleeding. Tylenol is okay. If you have a lid laceration, seek emergency medical care. Don’t put anything but a sterile dressing on the wound. If there is a laceration to the eyeball, avoid putting any pressure on the eyeball and keep the eye protected. If you have a foreign body to the eye, you should gently flush it with water, protect the eye and see a doctor about removing it if the flushing didn’t remove it. At the emergency room or doctor’s office, the doctor will flush a chemical burn for longer, possibly using a device like a contact through which water flows. This is called the Morgan Lens. Further treatment will depend on the exact chemical involved. In corneal abrasions, the eye will be numbed so that it can be examined better. The doctor will use fluorescein to highlight the abrasion and then will provide you with antibiotic drops to use until the abrasion heals. The pupil may be dilated for comfort as well and an eye patch will be recommended in some cases. Other doctors believe that the risk of infection increases when an eye patch is used. People with contacts should wait until the abrasion has healed before wearing the contacts. In traumatic iritis, the doctor dilates the pupils with eye drops and considers using steroid eye drops in order to reduce the amount of inflammation. In a severe hyphema, hospitalization with bed rest and an elevated head may be considered. The pupil is dilated and a shield is placed over the eye in order to protect it. It gradually heals itself. In an orbital blow out fracture, there should be a 48 hour period of ice and elevation. The patient shouldn’t blow their nose; instead they should use nasal decongestants and oral antibiotics for up to two weeks. Surgery may be done in a few days after the swelling has gone down. A laceration of the lid may need stitches, depending on its size and location. Lacerations regarding the eye ball itself require antibiotics, stitches and possibly extensive surgical repair of the laceration. Many eye injuries, if treated properly, heal without difficulty. The eye, while injured easily, has amazing reparative properties so that it looks and functions normally. Subconjunctival hemorrhages, hyphemas and corneal abrasions all heal without difficulty when treated well. Infection can happen with corneal abrasions if they are not treated with antibiotic drops soon after sustaining the abrasion. Traumatic iritis and hyphema can result in loss of vision if not treated properly. If you get a blowout fracture, you get persistent double vision if the eye isn’t set into its proper position at the time of the repair. In chemical burns, the eye can become opacified and can be blind. This is especially true of alkali burns. Chronic pain in the eye is also possible. If you have a ruptured globe and it is healed properly, you may have a field defect or possibly a scar one the eye if the ruptured area was large. If you or a loved one has suffered eye trauma as a result of someone else's negligence and would like to discuss your legal options with an experienced Sacramento Personal Injury Attorney, contact us online or call us at 916.921.6400 to set up a FREE consultation.